Dr. Martin McCain performed two weeks as guest Principal Bass Trombonist with the Malaysian Philharmonic Orchestra. While in southeast Asia, McCain led a masterclass for the trombone studio at the Yong Siew Toh Conservatory on the campus of the National University of Singapore. 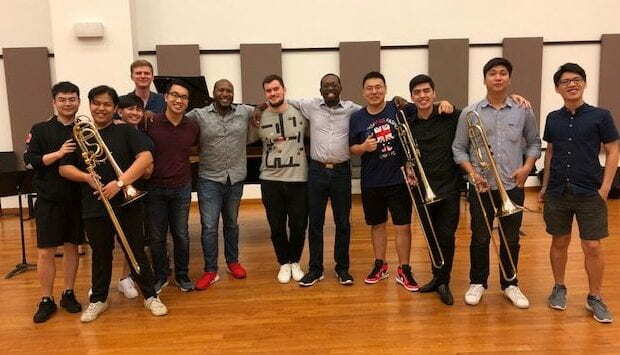 Dr. McCain also performed as guest 2nd trombone with the Memphis Symphony Orchestra and recorded with the ensemble for a future documentary about the life of Dallas Symphony Orchestra Principal Trumpeter, Ryan Anthony. McCain co-led an arts entrepreneurship lecture at the University of Memphis and the University of Texas at Austin. Additionally, he hosted guest artists, Dr. Mitch Butler of the University of Missouri – Kansas City, Dr. Rai Morales of Texas A & M University – Corpus Christi, and Brian Hecht of the Atlanta Symphony Orchestra on the Texas State campus. This entry was posted in alumni students faculty NEWS on April 15, 2019 by Meagan Hernandez. Laura Brackney, a Texas State graduate composition student, was featured in the Austin-based arts magazine Sightlines about her upcoming premiere of a new score performed live to a historic silent film. The score will premiere on April 12 at the Bullock Museum in Austin, TX featuring Brackney on keyboard and Henna Chou on cello. This entry was posted in alumni students faculty NEWS on April 10, 2019 by Meagan Hernandez. TXST was well represented at South Texas Chapter of NATS at Del Mar University on Saturday, April 6. With support from collaborative pianists Alexis Korbe and Joung-A Yum, the following TXST singers took first-place honors: Karissa Kim, Pedro Valdez and Gavin Magee. Second place: Reese Landis, Lucas Phillips, Darrin Ruiz, and Abraham Villarreal. Finalist Trenton Floyd won a third place award. Garrett Douglas and Taunty Motu placed as semi-finalists, and William Phi was a finalist for the Waldman Award. This entry was posted in alumni students faculty NEWS on April 8, 2019 by Thomas S. Clark. Lauren Gordon, a saxophone student at Texas State, received notification on April 4 that she won the tenor saxophone position to perform with the World Youth Wind Orchestra Project in Schladming, Austria this summer as part of the Mid Europe Music Festival. Associate Professor of Saxophone Todd Oxford is very proud of her for securing such an important opportunity as a sophomore music studies major. Congratulations Lauren for this fantastic honor! 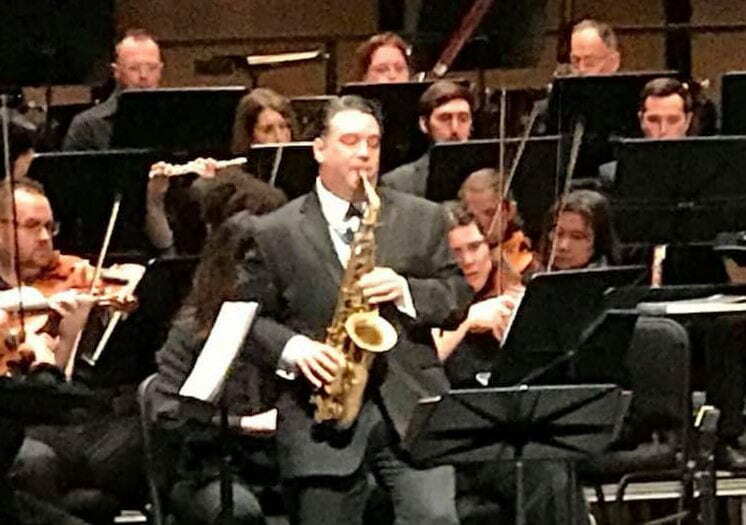 This entry was posted in alumni students faculty NEWS and tagged mid europe music festival, tenor saxophone, world youth wind orchestra project on April 5, 2019 by Meagan Hernandez. On Thursday afternoon, April 4, theory professor Dr. Cynthia I. Gonzales delivered an invited two-hour lecture via video stream to the graduate Music Theory Pedagogy class at Youngstown State University, Ohio. Dr. Gonzales discussed how to develop harmonic listening skills that lead to taking harmonic dictation successfully. The graduate students enjoyed singing along with her movies and asked relevant questions about teaching harmonic listening skills. This entry was posted in alumni students faculty NEWS and tagged music theory on April 5, 2019 by Meagan Hernandez. Texas State alumnus Luca Cubisino (MM in Piano Performance) has developed and will be directing the Advanced Preparatory Piano Program, a division of the Frost School of Music Preparatory Program at the University of Miami. This entry was posted in alumni students faculty NEWS on April 4, 2019 by Thomas S. Clark. Michael Johnson (MM ’17) has recently been appointed as a professor at Shelton State Community College in Tuscaloosa, AL. He is currently in the 2nd year of his doctoral degree at the University of Alabama. Congratulations, Michael! This entry was posted in alumni students faculty NEWS and tagged TXST Alumni on April 3, 2019 by Meagan Hernandez. ▪ Undergraduate student Peyton Grover received the TMEA Collegiate Music Educator Award and nominated for the LBJ Civic Leadership Award at Texas State. 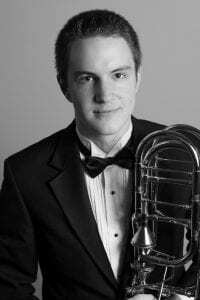 ▪ Undergraduate student Coy Reid was nominated for the TXST Ralph Harrel Award for Outstanding Graduating Senior and was accepted for a live audition with the United States Navy Band. Washington, D.C.
▪ Undergraduate student Lauren Gordon was selected as Runner-Up for the World Youth Wind Orchestra Project, Schladming, Austria. The World Youth Wind Orchestra brings together musicians from around the world to perform wind ensemble repertoire at the highest level. This entry was posted in alumni students faculty NEWS on April 1, 2019 by Thomas S. Clark. 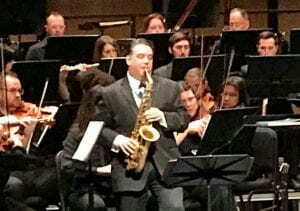 Todd Oxford was featured soloist with the New Texas Symphony Orchestra performing Debussy’s Rapsodie at the Moody Performance Hall in Dallas, Texas. ▪ Adjudicator for the Coltman National Chamber Music Competition, Butler School of Music, Austin. ▪ Audition applicant for the American Prize in Instrumental Solo Performance, Danbury, Connecticut. ▪ Audition applicant for Contemporary Record Society Commercial Recording Grant, Broomall, Pennsylvania. ▪ Audition applicant for Global Music Awards – Best Instrumentalist. La Jolla, California. The Schneider Music Library was awarded a $4,056 grant for permanent access to Oxford Music Handbooks Online: Music (the Foundation package and the 2012 and 2013 packages). According to music librarian Mark Blair, the 21 collections of peer-reviewed essays therein are deep dives into specialized concepts such as Philosophy in Music Education, Medical Ethnomusicology, and Film Music Studies. This entry was posted in alumni students faculty NEWS and tagged Oxford Music Handbooks on March 27, 2019 by Thomas S. Clark.